THE BUZZ: FIRST IN PLAYBOOK -- It's a classic Berniecrat vs. mainstream Dem battle in what has been one of California's most competitive state Assembly races — and now, San Francisco Mayor London Breed and Oakland Mayor Libby Schaaf have both weighed in. 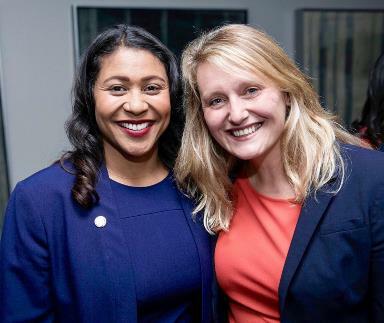 The leaders of two of the country's most progressive cities today will issue a joint endorsement backing Buffy Wicks — a grassroots organizing architect in former President Barack Obama's 2008 presidential campaign — for the East Bay's Assembly District 15 seat. WHY IT MATTERS: Wicks, who has been endorsed by a crowd of leading Democratic elected officials — including Gavin Newsom, Kamala Harris, Howard Dean and Gabby Giffords — came in with a robust 31-15 percent lead in the June primary against Richmond City Councilwoman (and Democratic socialist) Jovanka Beckles, endorsed by Bernie Sanders' Our Revolution. 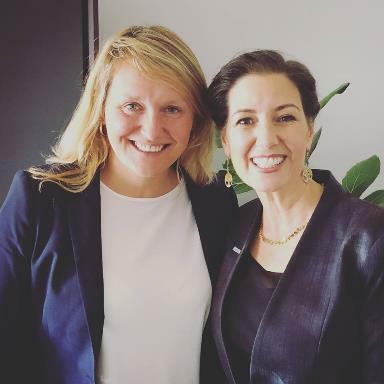 This weekend, they'll both battle for the endorsement of California Democratic Party Executive Committee in Oakland, which could also vote for "no endorsement." EXPECT THIS TO BE AN ISSUE: At a time in which many Dems are especially angered at Trump administration policies, Beckles "drew audible gasps" at a voter forum last March when she announced she voted for Green Party candidate Jill Stein over Hillary Clinton in the November election against Donald Trump. -- The endorsement of Wicks is the first for Breed, who was inaugurated this week as San Francisco's first elected African-American woman mayor. Breed's statement: "Buffy is a bold and pragmatic leader with longstanding progressive values who understands how to work together to solve problems. Her leadership at the state level is what we need to tackle our region's most challenging issues." I had forgotten that Beckles voted for Stein, who is being investigated, like Trump for possible collusion with Russians. It is this tendency to vote “conscience” (read ideology) over practicality that has us ending up with winners like Trump.